I’ve had a more normal week, having fortunately recovered from the never-ending Headache Hell – thank you everyone for your good wishes and sympathy. Last Monday I had an unexpected treat in the form of Frances accompanying me for the day as her school had an Inset Day and Rebecca’s arrangements for her care were blown apart at the last minute. Unfortunately, it’s my busiest day but she was an absolute sweetheart, uncomplainingly sitting in the corner of Sally’s lounge reading and drawing as I taught Tim, then coming along to Fitstep, where she joined in. We had some time together in the afternoon before she went home and I had to start getting ready to teach again in the evening. On Wednesday evening I managed to make my writing group for the first time this year – it was lovely to touch base with writing friends getting much-needed feedback, accompanied by cups of tea and fabulous home-made cake. Mhairi and I met up on Friday afternoon as we hadn’t seen each other for faaar too long. We sat in the Sea Lane Café, watching the white-caped waves pounding the shore through a grey rainy veil while we put the world to rights. As you can see from my blogs – I’ve rather binged on NetGalley and had a series of new releases all coming out in quick succession, but I’m delighted at the quality and variety of the books I’ve been reading recently. I’ve also managed to get a bit more writing done, thank goodness. Mere months ago, gunslinger Amani al’Hiza fled her dead-end hometown on the back of a mythical horse with the mysterious foreigner Jin, seeking only her own freedom. Now she’s fighting to liberate the entire desert nation of Miraji from a bloodthirsty sultan who slew his own father to capture the throne. Forget everything you thought you knew about Miraji, about the rebellion, about djinni and Jin and the Blue-Eyed Bandit. In Traitor to the Throne, the only certainty is that everything will change. This one was a joy. I loved Rebel of the Sands but Hamilton has produced an even better sequel, managing to provide an interesting dynamic in amongst the kidnappings, mayhem and murder where Amani is forced to consider the consequences of what she is doing. This was an aspect of the story I particularly appreciated. And that ending – what an amazing twist right at the very end! I’m now waiting impatiently for the next slice of this adventure. She has nothing—not even a roof above her head. She has unimaginable powers, but these powers come at a price: she has to feed on the mental energy of human beings, killing them in the process. Her name is Griffen and she is a newborn. She is a copy, a paranormal twin of a young woman, Letitia. Griffen is not the only one of her kind—there are others like her, living among humans or hiding underground. Romantics called them doppelgangers, ghostly twins, the harbingers of death. Scientists who know that they exist call them simulacra. They call themselves mirror souls. Who are they and what are their goals? The above blurb caught my attention on NetGalley and the worldbuilding in this paranormal adventure is the book’s strength – I really enjoyed learning about Blakemont’s superbeings. However, I didn’t particularly bond with Griffen until well into the book. 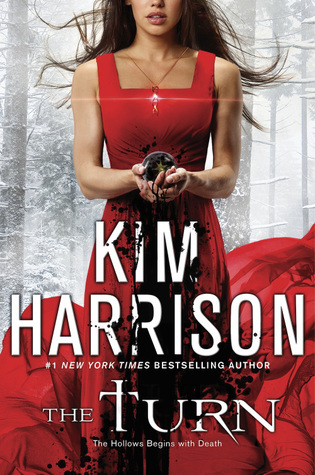 Kim Harrison returns to her beloved Hollows series with The Turn, the official prequel to the series that will introduce fans and readers to a whole new side of Rachel Morgan’s world as they’ve never seen it before! Can science save us when all else fails? This is a wonderful treat for those of us who have real any of Harrison’s The Hollows series and followed Rachel’s adventures in a world where humanity was decimated by a virus. And in this book, we discover exactly how that happened… A great introduction to this series if you haven’t yet had the pleasure – and if you have, don’t miss this one. It’s Harrison at her awesome best. I shall reviewing this one in due course. Meet Guest Author Richard Ankers https://thestoryreadingapeblog.com/2017/02/04/meet-guest-author-richard-m-ankers/ Regulars who read this spot will know I frequently post Richard’s quirky short fiction. This moving and well written article explains what persuaded him to try his hand at writing. https://warriorwriters.wordpress.com/2017/02/03/save-money-on-professional-edits-6-easy-ways-to-clean-up-your-own-manuscript/ Any advice by the great Kristen Lamb is worth reading – but she’s right, this article could save you cold hard cash as good editing is expensive and you don’t want your editor to waste time on issues you can fix. After reading Jo’s article a few years ago, I started taking part. As a result I have encountered a number of talented authors who deserve to be better known. I was a bit poleaxed when Kristen first approached me, asking for an interview. But I really enjoyed answering her questions and sharing some tips I’ve picked up after 8 years of teaching Creative Writing classes. 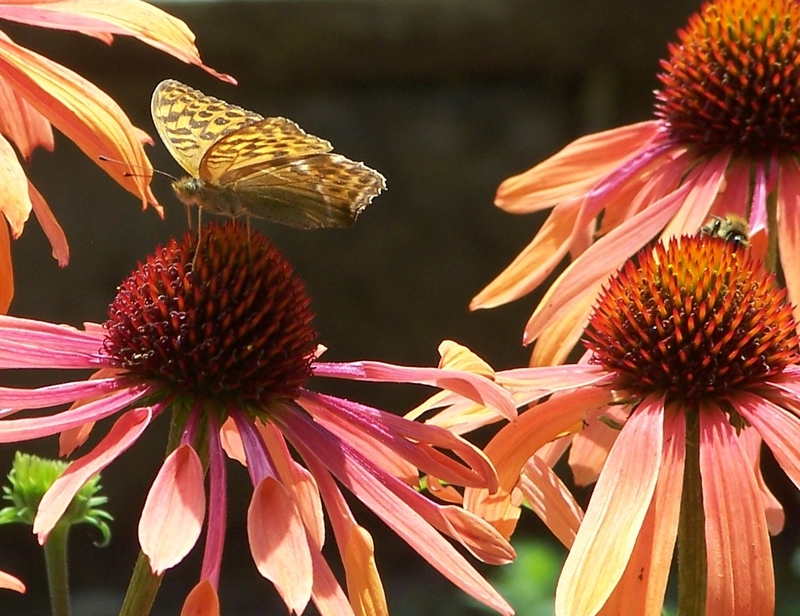 Many thanks for visiting and taking the time and trouble to comment – and may you have a wonderful reading and blogging week. Thank you:). Yes, I’m completely recovered – I’ve come to the conclusion that I went down with some strange virus/illness as I’ve recently encountered other people who had the headache, though it appears I got off lightly as they also had flu-type symptoms and aching joints. Yes, hopefully it will be a good reading week – I’ve got some great NetGalley arcs to tuck into and I hope you, too, have an enjoyable reading week. I’m glad you’re feeling better, and that the headache from hell has been sent back where it belongs – out of your head! I bet it was nice getting back to your writer group, and seeing friends, chatting, getting and giving feed-back is very fulfilling, so it’s great you had the time to do it. I loved The Turn! It’s really well done, and I hope you’ll enjoy it as well. Thank you, Lexxie:). Completely back to normal now – thank goodness! Yes – I LOVED The Turn and will be reviewing it this week. It’s while since I’ve read anything by Kim Harrison but I’d forgotten just how good she is. Best of luck with the teaching and I hope you, too, have a great reading and blogging week:). I can picture that Sea Lane Cafe….and would love to be sitting there and looking at the white-capped waves! I don’t read paranormal adventures, usually…but that Shadows of a Mirror Realm looks very tempting. Thanks for sharing, and thanks for visiting my blog. Enjoy! Yes, it’s one of my favourite cafes because of the lovely sea views – I’ve spent hours sitting there talking through various book plots with Himself over the years:). Thank you for swinging by and hope you have a great week, Laurel. It’s been a dreary week around here although thankfully without the rain. although we did get some snow. Ready for springtime!! Your decription of the Sea Lane Cafe sounds lovely. I’m very glad we haven’t had snow, but it was lovely to see the crocuses flowering. And the Sea Lane Cafe is great at this time of year when the sea is crashing against the beach. Have a great week, Greg:). Thank you, Kristen. Yes, I feel MUCH better now. And Traitor to the Throne is not only a pretty book, it’s also an awesome read:) I very much hope you have a great week, too! Glad you are feeling better this week. I try to be good on Netgalley but did the same as you by the sounds of it over December and asked for books I didn’t think I’d get….only for them to say yes. Now I’m having to read them vs. Books I might otherwise pick. Never again! Yes… I hadn’t expected to be accepted for a number of the ones I got, either! Ohhhh I’m so glad to know you’re feeling better, Sarah! (Though I think I said it last week, too, but it bears repeating.) And also glad to know you were able to return to your writing group. Things continue to be busier than expected on my end. I’m not sure what that will mean for blogging in the short term… but I’m still plugging away on The Novella, and I visited my parents last weekend on Cape Cod. We went to see the film “Hidden Figures,” too, which was excellent as well as relevant. Sea Lane Cafe sounds like it has an gorgeous location, btw. I love water / bay / ocean views. YES. 😀 I already have a few things pulled together (including my passport – did that months ago! ), but while I’m home this weekend I’m planning to make a list of the things I need for the trip. I’d rather be prepared early on than scurry around for stuff at the last minute. Besides, half the fun of going away is the preparation:). Though I personally LOATHE packing. I am glad you are feeling better, Sarah. My husband awoke with a fierce headache this morning. I was surprised he went to work, the way he described it. Hopefully he will be okay today. It’s always nice to hear when a second book is even better than the first in a series. I am glad you enjoyed Traitor to the Throne. I will definitely have to look for The Turn. I hope you have a great week, Sarah! Thank you, Wendy! So sorry to hear your husband is suffering – I feel particular sympathy with anyone afflicted with a headache:(. 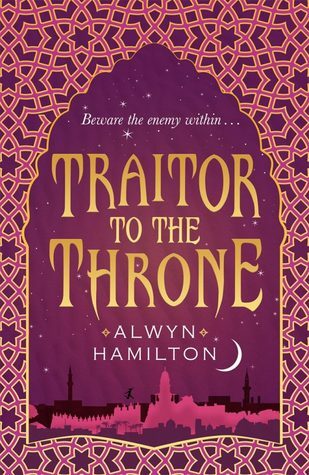 Yes, I loved Traitor to the Throne and highly recommend The Turn – it’s a great read, especially if you enjoyed The Hollows series. Have a good week, too, Wendy:). Glad you are feeling better. 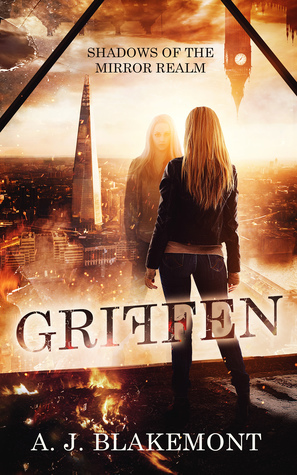 I’m curious about Griffen. That’s an interesting cover and synopsis. I have also reviewed it – the worldbuilding is excellent with a number of really cool ideas in it. That writing group meeting sounds like it was fun! And I am glad to hear your headache disappeared, headaches are the worst. I have a hard time staying away from netgalley lately, I got some good books from there this week. We actually had a bit of snow today and colder weather suddenly. I hope you had a good week. I’ve actually barred myself visiting Netgalley for the rest of the month! I have far too many review books to get through in February AND March and while they may be wonderful – I don’t want to stop having fun. Thank you, it’s been a great, if busy, week – though a LOT colder. It spent most of the day trying to snow, though fortunately it was just warm enough so it didn’t settle.